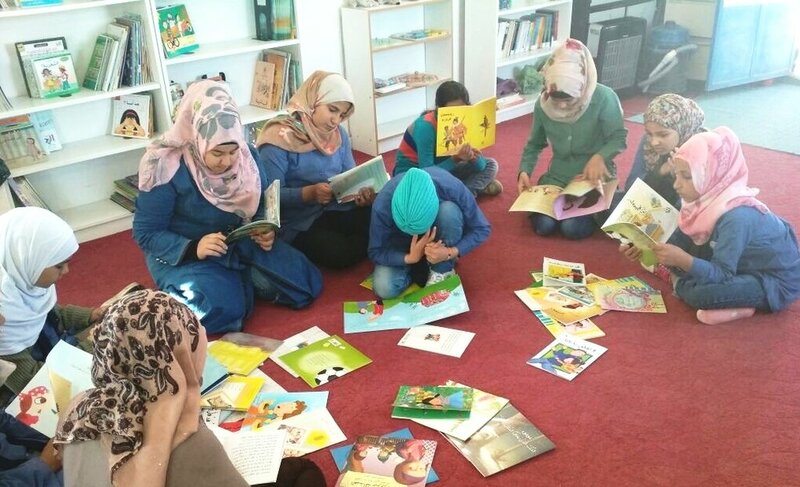 This January, The Syria Fund and our partners are opening a new community library at The Azraq School’s NEW campus! A domed room will be furnished with built-in bookshelves that wrap around this dramatic new space. Comfortable and quiet places to sit will nurture a community of readers at our center! With opportunities for children, teens, and adults, we want to create a library filled with some of the best modern and classic Arabic literature for our community to choose from! We’ve gathered a group of reading enthusiasts to come up with a robust and diverse list of Arabic titles for us to bring to our library. We’ll source the books locally in Jordan, and purchase them with your help! Our partners Emergency Architecture & Human Rights (EA-HR) are building six new classrooms for The Azraq School. One of the domed second floors will be converted into a community library. Choose an age range to SELECT your book for. Peruse the titles and descriptions of books. “Buy” the book you want to donate from the list!